Gun violence isn't a problem in America. U.S. Rep. Bill Pascrell (N.J.-09) joined U.S. 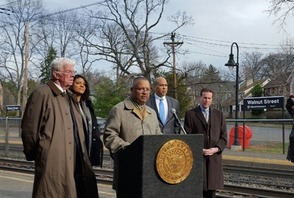 Senators Bob Menendez and Cory Booker, as well as Rep. Albio Sires (N.J.-08), Rep. Donald Payne, Jr.
An Interview with Congressman Donald Payne, Jr.